In a perfect world, everyone who wanted a house would be able to buy one and there’d be enough to go around. In reality, more and more people are renting properties because homes are too expensive. And, the houses which are affordable are not liveable. There is nothing wrong with leasing a house because it’s a means to an end. Let’s face it – it beats living at home! There are even advantages which some people love, such as extra flexibility. Within a month, a renter can move out of one property and into another with zero fuss. However, one major disadvantage is having a landlord because you are not in charge. It isn’t your home and you have to follow orders. Although no one likes it, listening to a landlord is a necessary evil. Take a look at the following to find out why. The term “escalate” is an understatement because disagreements can spiral out of control. One moment you are contesting an expense and the next you are in court with a team of dispute resolution solicitors. 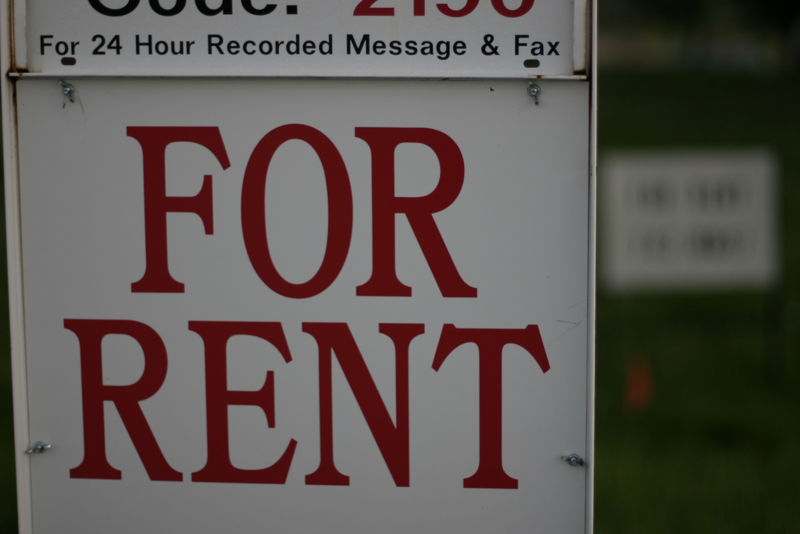 The sad truth is that landlords deal with people who don’t pay on a weekly basis. So, to get their money, they tend not to give an inch. This is especially true if the relationship between tenant and landlord is frayed. Because there is no communication, the dispute cannot get settled without legal help. By keeping things civil, the landlord should give you the benefit of the doubt. At the very least, he or she will sit down and discuss the matter and how to move forward. Don’t be surprised, though, if the courts request an appearance from yours truly. A benefit of living in another person’s house is that they do the repairs. You neither have to waste time or money trying to come up with a solution. Just call the owner, explain the problem, and wait for them to turn up with a toolbox. Of course, this is how it is supposed to work, but things change when people are at loggerheads. Rather than do their job, a landlord will neglect the property, full stop. So, the next time you call for help, they may ignore it or tell you where to go in no uncertain terms. Okay, some repairs are easy, but that isn’t the point. When you pay rent, you expect to get the full service. The good news is they will stay onboard if you are friendly and cordial. A tenancy agreement is a gold standard for renters. Anything that is in a contract is binding and holds up in court. However, some deals don’t get rubber stamped because they are agreements between adults. For lots of people, a shake of the hand will suffice. Take the furniture as an example. Appliances such as the washing machine may come included yet the sofa and armchairs may not. A disgruntled landlord won’t think twice about taking away the fixtures to make your life harder. Firstly, it’s a great way to send a message, as in, if you don’t leave, things will get worse. Secondly, they are well within their rights. If they own the fittings and the agreement is not in the contract, there is nothing a tenant can do. No gets evicted without a solid reason, right? Wrong. Thousands of tenants get kicked out of their homes on a daily basis. Yes, the majority are people who owe rent or in arrears. Still, a landlord doesn’t have to play by the rules if he or she wants to get nasty. All they have to do is inform you to vacate the property and give a few weeks’ notice. In the eyes of the law, the notice period is enough for the current residents to find new lodgings. Of course, most of the UK’s cities are overpopulated and don’t have enough suitable houses. So, securing a new flat or house may be almost impossible even with a month’s notice. Evictions are on the rise and landlords are increasingly using them as a tool to get their property back. As a good tenant, the chances of that happening are slim because landlords want renters they can trust. Another thing to keep in mind is that the court tends to side with the owner. Because it isn’t your property, they get the benefit of the doubt. As a result, even if the eviction is unlawful, the justice system may not have your back. Simply put, they will kick you out onto the street. When a high court enforcement agent knocks on the door, there is nothing you can do to slow the process. Many people think it’s unfair yet it’s the way the system works. The good news is that tenants and landlords with a healthy relationship don’t have to go through the ordeal. Securing another property is like applying for a job. Once you get through the interview, the landlord will double check your credentials. After all, it is easy to lie on a piece of paper. The first person they want to hear from is your former landlord. As a property owner, they will be able to provide valuable information regarding the application. A terrible reference may not be legal but he or she doesn’t have to provide one at all. As employers know, refusing to give a reference speaks volumes. Sure, other people can step in and help, such as your boss. However, they are second best and bound to be biased. A tenant who has a strong bond with their landlord will get a glowing recommendation. Regarding renting another property, it should open up many doors. Also, don’t forget the dark underbelly of real estate. Landlords tend to know one another and can slander your name. You may not rent forever yet developing a connection with your landlord is essential. Apart from anything, it will save tonnes of hassle.